Eagle Tented Lodge is situated south of the Etosha National Park built on a hill offering breathtaking views. Eagle Tented Lodge is situated south of the Etosha National Park in Namibia. Built on a hill, it offers breathtaking views across the majestic Namibia private reserve and the Ondundonzondandana valley. 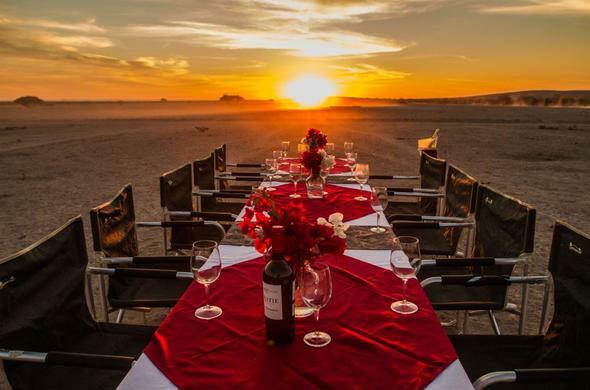 Epacha Private Game Reserve is a wildlife paradise of 21 000 ha bordering on the world-renowned wildlife conservation area, Etosha National Park in Namibia. This Namibia private reserve was created as a wildlife sanctuary; commited to wildlife preservation and nature conservation. Epacha Private Game Reserve is home to the Black Rhino custodian programme and hosts 21 antelope species as well as the endangered Sable antelope. Location of Eagle Tented Lodge in Etosha, Namibia.